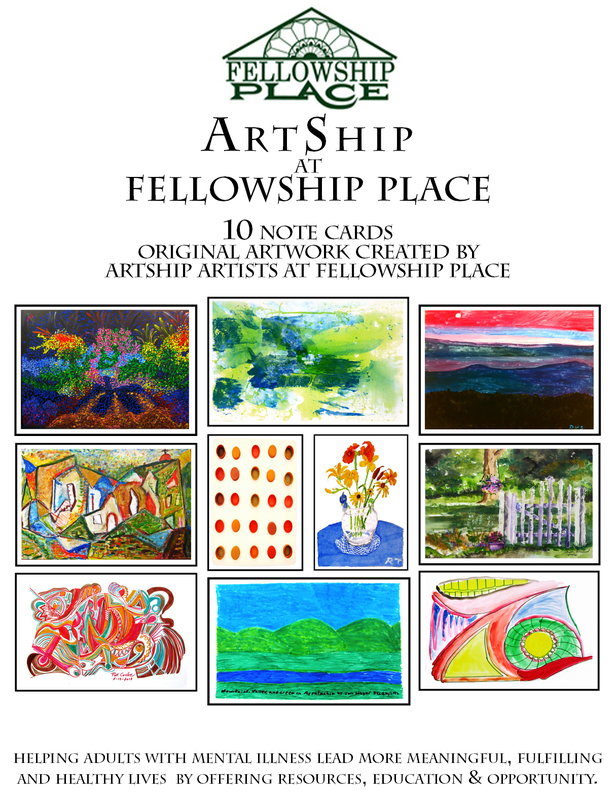 The 2014 Artship Note Cards are available for purchase. Each year our Artship artists produce an original artwork for the cards to help raise money for the program. 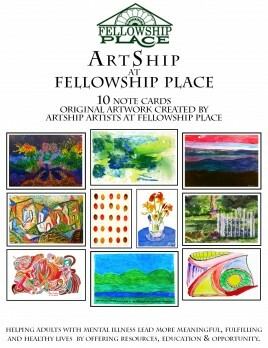 Each package contains 10 note cards of original artwork created by the artists at Fellowship Place. The inside is blank so that you can create your own message. Christmas is just around the corner and now is a perfect time to buy. Click on Buy Now to purchase one or more of these Note Cards Packs for yourself or for family and friends for gifts. The cost is $10 and $2 for shipping.